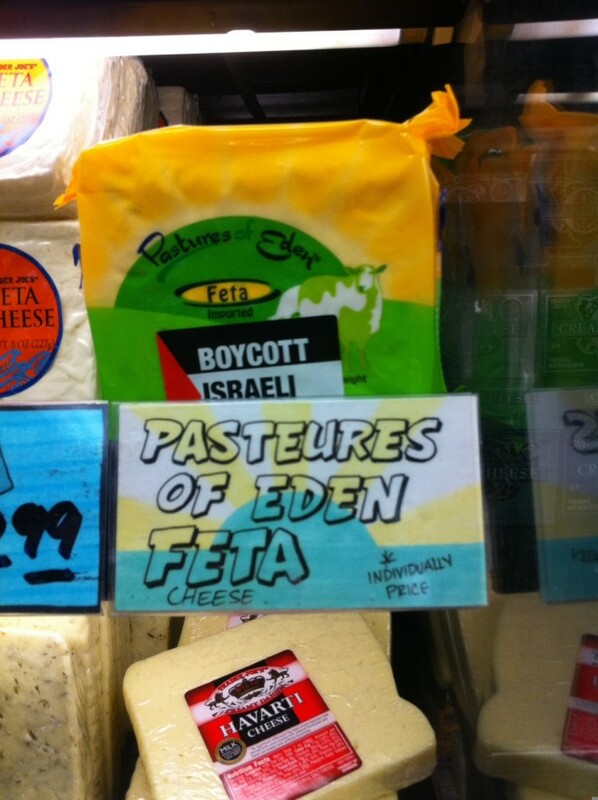 Pastures of Eden and its umbrella group Tnuva has been the target of boycotts for several years as it is in the face of Trader Joe’s customers across the US. Tnuva is the largest dairy producer in Israel with about $1.8 billion in revenues. Tvenu, with 70% market share has actually been the target of boycotts by Israelis because it has exploited its dominant market share to increase prices higher than many customers felt justifiable. You can also help convince Trader Joe’s to uphold ethical sourcing policies by writing them a message on their online contact form. Let me know what not to buy! This is big: I feel strongly enough to speak to the manager and send a letter to TRADER JOES CORPORATE. They can go to hell if they refuse to stop stocking such products. It is big. Please do contact local managers and corporate offices of Trader Joe’s and please return and comment here with any response you get. Building the movement involves communicating successes and strategies. In solidarity!